The Mill+ team worked with video artist Marco Brambilla for 'Anthropocene,' a triptych of haunting, dreamlike video installations depicting the geography between Central Park and Columbus Circle. Anthropocene premiered at the celebration of the new Hugo Boss flagship store opening at The Shops at Columbus Circle in New York City. The Mill's 3D team employed a technology often used by archeologists and engineers called LiDAR scanning to digitally map objects using reflected laser light. According to Vince Baertsoen, Head of CG, who has spearheaded the unique use of this technology at The Mill, "It was a great creative and challenging process to use this technique mixed with programming and CGI to create such a surreal environment: abstraction and realism merging in a great piece of art." The Mill collaborated with SCANable, who did the acquisition of all of the LiDAR on set. 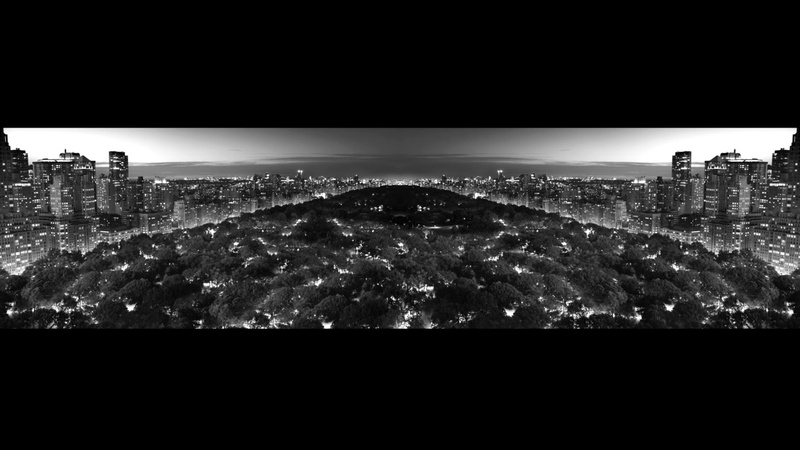 'Anthropocene' also features black and white footage of roving, iconic views of Central Park and Columbus Circle, shot using the rare RED Epic Monochrome camera. The Mill's Adam Carboni, Director of Photography, said "We had a bird's-eye view of Central Park from every conceivable angle thanks to the invaluable assistance of the experts at The Central Park Conservancy. They were instrumental in helping us secure optimal vantage points for the shoot." "Hugo Boss was a colossal undertaking, since we knew we wanted to capture Central Park in a way that had never been seen before," notes Co-Head of 2D, Westley Sarokin. "The RED Epic Monochrome has amazing light sensitivity and allows for extensive color grading. We were able to bring out a very beautiful and almost painterly look to the footage. Using locked-off shots, I rebuilt the geometry of the scenes, buildings, and streets in Flame to create virtual camera moves that brought the scenes to life in a hyperreal way, as many of the camera moves would have been physically impossible to achieve otherwise. Marco was involved every step of the way guiding the creative aesthetic of the project toward its ultimate completion." The video installation plays accompanied by Carnival of the Animals by Camille Saint-Saëns.